IT appears that some people, like one PK Anding, had lately, been vocal and supportive of the Piu Incorporated Land Group’s claim of ownership of the Wafi-Golpu project land. PK Anding had even gone as far as to mention that the Lutheran Church had written to the prime minister informing him of its support of Piu’s claim of ownership. Further to my previous letter to the editor, I briefly mentioned that the claim by the Piu Incorporated Land Group, led by chairman Martin Tapei, was thrown out by the Supreme Court. A brief synopsis of the case is provided below for anyone out there to appreciate the origin of the Piu Incorporated Land Group claims of ownership over the 50,000 hectares of customary land. On Feb 22, 2001, Piu ILG applied to the Department of Lands and Physical Planning for a special agricultural business lease (SABL) over the Wafi-Golpu project land comprising of 6240 hectares. This was done without the knowledge of the people of Yanta, Hengaybu and Babuaf people, including the other seven villages in the area. On July 24, 2001, an SABL lease was granted to the Piu ILG by the minister for lands under the Land Act comprising of 50,000 hectares instead of the 6240 hectares applied for. This grant was vehemently disputed by the Yanta, Hengabu, Babuaf people as well as the other known seven villages within the area. On May 18, 2003, following pressures and protests by these groups within the 50,000 hectares of land, the new minister for lands and physical planning intervened and revoked Piu’s SABL lease. His decision was based on the non-compliance of the requirements and provisions of the Land Act under Section 10 and 102. On Nov 19, 2004, the Piu ILG, not satisfied with the minister’s revocation of its SABL lease, applied to the National Court for judicial review for which leave was granted on May 5, 2005. The minister’s revocation was cancelled and Piu’s ILG title was restored, albeit temporarily. On Aug 29, 2005, Yanta, Hengabu, Babuaf and Towangola appealed to the Supreme Court for a judicial review of the National Court order of Aug 18, 2004. The appeal was upheld and the National Court judgment was declared void, and the SABL lease granted to Piu on July 24, 2001, was declared null and void. So to whoever is still supporting the Piu ILG claims of ownership over the Wafi-Golpu project land, I hope the above information gives you a clear picture of the situation. 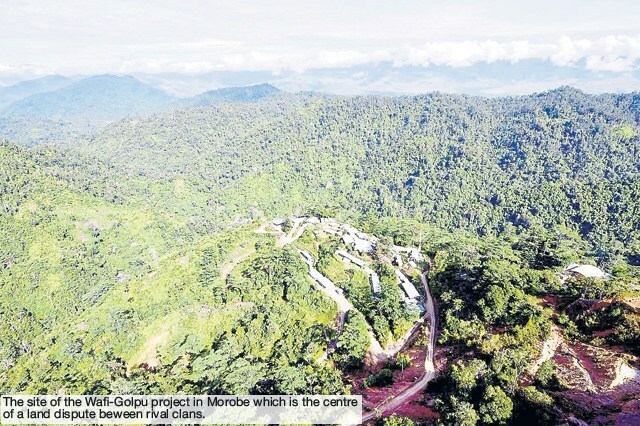 Questions should be asked about how Piu’s claim of 6240 hectares ended up with 50,000 hectares of customary land, especially when the land is communally owned?